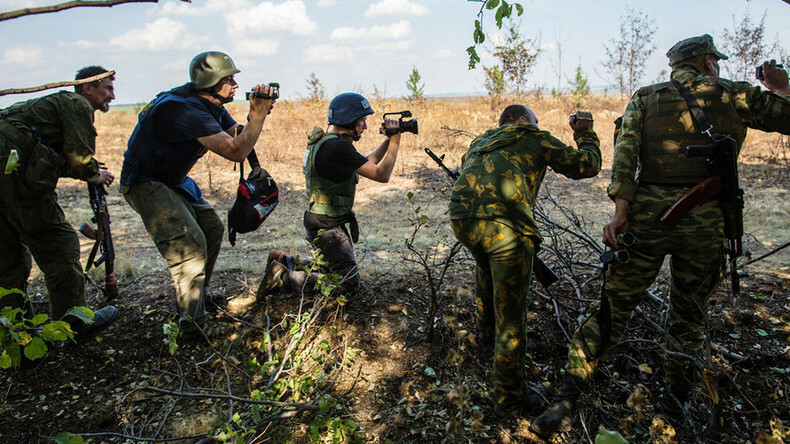 Governments, NGOs and journalists across the globe have condemned a leak of personal data of more than 4,000 media staff, accused by pro-Kiev activists of “collaborating with terrorists” for their reporting from war-torn eastern Ukraine. The names on the list include people working for respectable outlets, such as news agencies AFP, AP and Reuters, broadcasters BBC, CNN, CCTV, Deutsche Welle and Al Jazeera, newspapers, including the New York Times, Gazeta Wyborcza and Kyiv Post, news websites Vice News and Daily Beast and many others. RT journalists are on the list too. “This is a very alarming development which could further endanger the safety of journalists, who report on issues of public interest and they should not be harassed for doing their job,” said OSCE Representative on Freedom of the Media Dunja Mijatović. Some of the journalists, whose data was leaked, have complained they have started to receive threats. “After being accused of ‘working for the terrorists’ and having their personal data, phone numbers and emails made public, they started receiving phone calls and emails with threats, and some Ukrainian politicians have called for these journalists to be labeled ‘enemies of Ukraine’ and to prevent them from working in the country completely,” an open letter, from Kiev-based journalists representing local and international media, stated. “We are aware that details of staff accreditation from a wide range of media organizations – including the BBC – have been hacked. We have taken immediate and appropriate action to protect privacy and security,” said the BBC. Publication was condemned by a number of governments, international organizations and media organizations. EU envoy to Ukraine Jan Tombinski said that while the leak was published by a privately-run website, he held the Ukrainian authorities accountable for endangering journalists and said the database should be blocked. The website that leaked the personal data is called Mirotvorets (Peacekeeper). It purports to be fighting separatism and terrorism and publishes personal data of anyone its contributors consider enemies of Ukraine. Mirotvorets was founded in January 2015 by Georgy Tuka, who now serves as a deputy to the minister responsible for dealing with rebel-held areas and refugees. 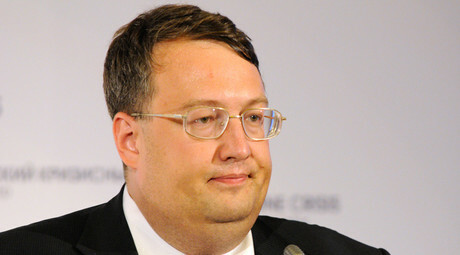 Among its high-ranking supporters is Anton Gerashchenko, an MP and aide to the interior minister. The website’s partners include the Security Service of Ukraine and the country’s Interior Ministry. The project has caused controversy in the past. At least two Ukrainian public figures, writer Oles Buzina and former lawmaker Oleg Kalashnikov, were killed days after their home addresses were published by Mirotvorets. Last year, Gerashchenko called for leaking the personal data of Russian soldiers and officers taking part in the counter-terrorism mission in Syria, so that Islamic State sympathizers could find and kill them. The latest leak includes data of journalists and NGO employees, who have been given accreditation by the de facto authorities of the rebellious eastern Ukrainian regions over the past two years. Gerashchenko said the data was obtained as a result of a hack, at least a month before publication. The Interior Minister's aid praised “patriot hackers” for exposing “a powerful propaganda machine that has an impact on par with the propaganda by [Nazi Germany’s] Goebbels or Stalin” and demanded more budget money to fight it. “What happened in Kiev is not only illegal, but is an outrage,” Monroe said. Investigative journalist Russ Baker said the fact that journalists might nowadays “by definition” be regarded as enemies points towards a significant growth of extremism. “The situation in the Ukraine is particularly striking because the fact that these people even think that a journalist going to an area makes them an enemy just indicates how extremism has risen to a rather staggering level. Journalists always go to war-zones, they always go to places where there is conflict, and to think that by definition that makes them unfair or somebody that needs to be threatened is pretty staggering,” Baker told RT.